John Ruskin's writings on art, culture, architecture and economics informed and defined so many areas of Victorian life. 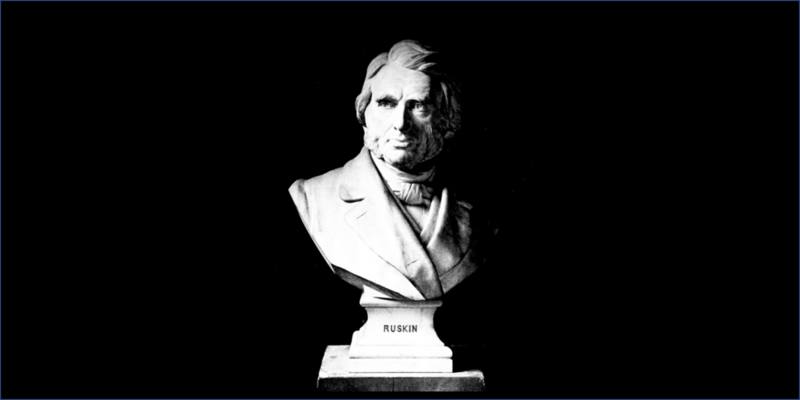 Jon Newman asks the question: was John Ruskin merely the first in a long line of NIMBYs, or do his critiques of industrialisation and uncontrolled growth still have meaning today? John Ruskin was born 200 years ago in 1819 and was a hugely influential public intellectual. He championed the Pre-Raphaelite painters, he revealed the greatness of Turner's art, he explained and popularised Venice for English travellers and he made Gothic-revival architecture the default style of his century. Alongside all these attributes he was and he remained a South Londoner. His family had moved to Herne Hill when he was three years old and he continued to live there and on Denmark Hill for a further sixty years. Yet when he finally retired to the Lake District in the 1880s, his mind now darkened by mental illness, he did so in despair at what he felt Victorian society in general and London and South London in particular had come to. Railway building, air pollution, the destruction of his child-hood haunts, the unrestricted power of developers to put up cheap and ugly houses, the vulgarity of the Crystal Palace ("possessing no more sublimity than a cucumber frame between two chimneys"), all had conspired to send him into a debilitating depression. Jon Newman, a writer and the archivist for Lambeth Council, has long been interested in Ruskin's links with South London, and presents this talk at Bell House in collaboration with the Dulwich Society. There are some subsidised places on this talk - please email [email protected] for more info.